Today I’ d like to show you my birthday presents. 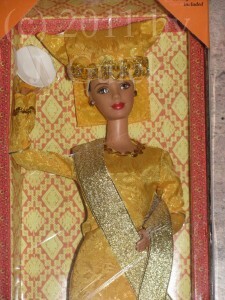 I got the Minang Barbie doll from my boyfriend and the Moja Barbie doll. 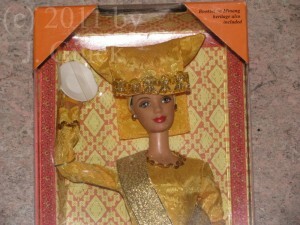 The Minang Barbie doll was made for the Indonesian market and she’s hard to find in Europe. 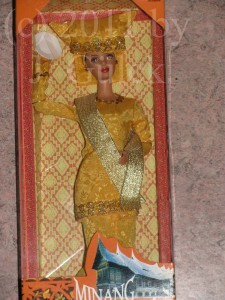 The box says that she wears a special outfit worn by the women of Sumatera. 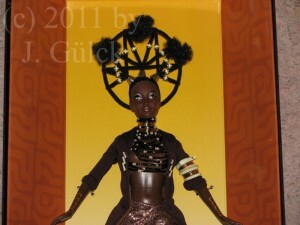 The doll comes with two minature plates. 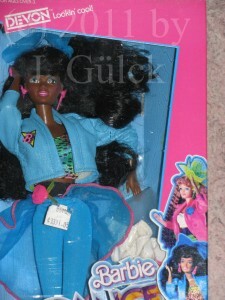 Luckily I was able to find the Moja Barbie doll, too. 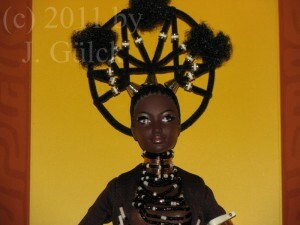 She had been on my wish list for at least 10 years. 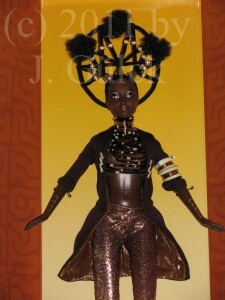 The Designer Byron Lars created her in 2001. 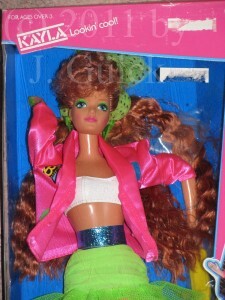 I always liked her but she’s not very often to find. 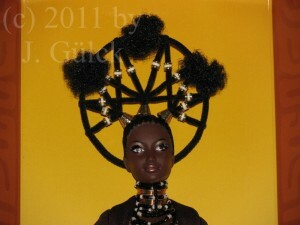 She has a very crazy hairdo from which I thought it was made from the dolls braids. 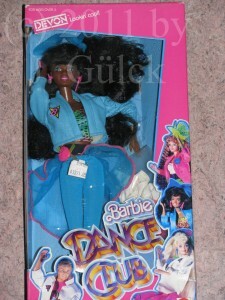 In the recent months I was able to find two rare friends of Barbie doll. 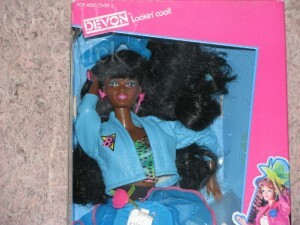 They are called Devon and Kayla. They were only made for the US-market and never available in Germany. 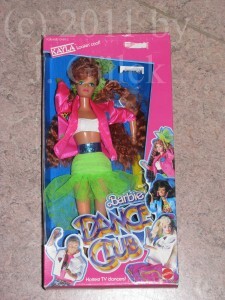 The Dance Club series was produced in 1989. The clothes may be a bit old fashioned but I think they express the feeling from then. I like them because the colours of the clothes are shrill and very bright. This is the first time that the triangle earrings and ring are introduced to the market. 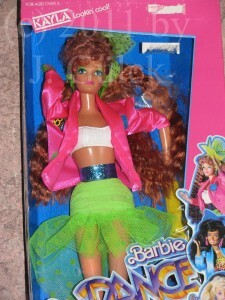 I thought that they were used the first time with the very popular Totally Hair Barbie series but obviously they were already available in 1989.